On May 23rd 2006, the Danish version of Zhuan Falun was officially published, and will soon be on sale in local bookstores. Zhuan Falun is the primary text among the thirty plus books published by Mr. Li Hongzhi, the founder of Falun Dafa. It is also the main book to study for people who practise Falun Gong. In this book Zhuan Falun, Mr. Li Hongzhi imparted the fundamental characteristics of the universe, Truthfulness, Compassion, Tolerance, to people for the first time. Since May 1992, it has been fourteen years since Mr. Li Hongzhi imparted Falun Dafa in China for the first time. Currently there are hundreds of millions people in eighty plus countries practising Falun Dafa, which has been considered to be the most popular and widespread Qigong exercise. Practitioners benefit in body and mind from cultivating Falun Gong. 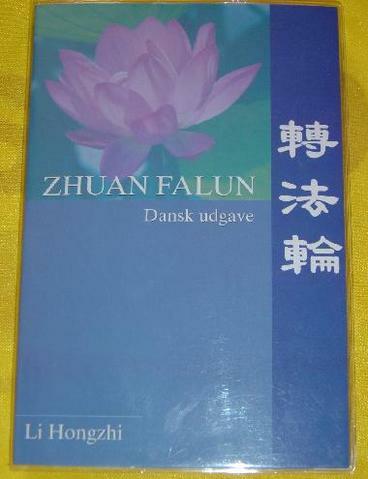 Danish Falun Gong practitioners think the publication of the Danish version of Zhuan Falun will help to spread the good news of “Truthfulness, Compassion, Tolerance” to the Danish people more quickly and widely than before. It will benefit kind-hearted Danish people and will be recorded in Danish history. Denmark: Exposing the Truth on “May Day"